College is just good. It requires proper management and good faculty. Don't go on its govt. Aided It is just like other private colleges. College is nice. Faculty needs to be improved. Placements needs to be improved. The college atmosphere is great but I must say the management must take into consideration that placement and job opportunities to reputed companies.They must bring very good companies. 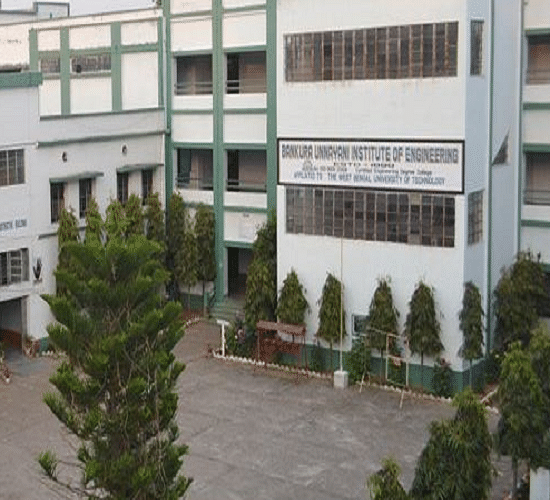 Bankura Unnayani Institute of Engineering (BUIE), Bandra was established in 1998. The Institute is recognized by the Department of Higher Education, Government of West Bengal and affiliated to the West Bengal University of Technology and approved by AICTE and Ministry of Human Resource Development, Government of India. The Institute is ISO 9001-2000 certified Institute. UNITEL WORKS WIRELESS SOLN PVT. LTD.
GIBRALTER AIR SPRINGS (p) Ltd. I took CAT entrance exam. "The phase where life gets enjoyable"
I got into the college through WBJEE, I have scored 2182 as WBJEE rank under SC category. I opted for this college as I got info from my elder brothers that this college has good infrastructure in Electrical department and this was the reason because I want to go for the stream of Electrical Engineering. I had appeared for WBJEE and scored 22572 rank in general category.I opted for electronics and communication engineering because i always fancy about antennas, radars, how those dish like antennas works as I watch those huge antennas in Betar Bhawan in kolkata, beside EDEN Gardens stadium further the mobiles were just started at that time, at which my curiosity reached further,so I opted for that stream.